There's been little talk of gun control this presidential election cycle, although state-level proposals continue to make it onto state ballots. Gun control positions have come down along the usual partisan lines. 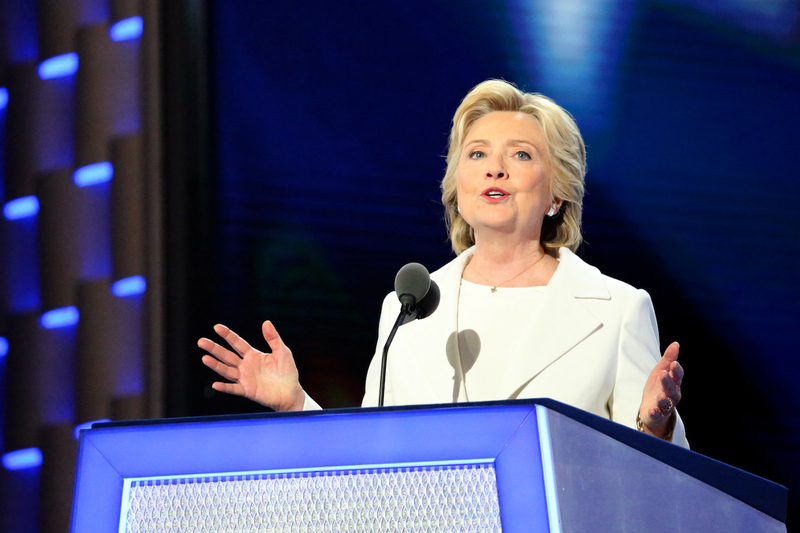 It was clear from Clinton's comments in the final presidential debate, for example, that she desires greater restrictions on access to firearms for private citizens. She expressed no such caution about weaponry carried by government employees, of course. While the candidates have declined to make gun control a central issue in the campaign, mainstream media outlets, academics, and pundits continue to press for greater government restrictions and prohibitions on firearms access for private citizens. Meanwhile, of course, government agencies continue to purchase more powerful and more deadly weaponry. To keep pressing the issue of gun control, it is necessary for advocates to push a narrative in which crime is especially bad, and in which the United States is somehow unique in the world in terms of crime. The actual historical data often contradicts their claims, however, so in order to push their narrative with greater gusto, advocates for gun control employ several different sleight-of-hand rhetorical tricks. First among these are repeated hints that crime, especially homicide, is becoming worse. This has been especially effective in pushing the idea that homicide is now more common every time a mass shooting takes place. In reality, of course, homicide rates in in the United States in 2014 were at a 51-year low. They increased from 2014 to 2015, but remained near a 50-year low, and near 1950s levels, which are recognized as an especially un-homicidal period in US history. Moreover, homicide rates were cut in half from the 1990s to today, in spite of the fact that guns were being purchased in larger and larger numbers over the period. Obviously, this doesn't translate well into a pro-gun-control talking point. So, in order to make the case for "increasing" crime, gun-control advocates will take a very short-term time horizon (often of one-year) to create the impression that there is an established trend of increasing crime. For example, homicide did indeed increase from 2014 to 2015, but the longer-term trend is something else entirely. In this report, for example, the authors breathlessly report raw numbers of people killed while conveniently ignoring both historical context and the fact that the United States contains 320,000,000 people. When these statistics are viewed in light of a 20-year trend or as a proportion of the full population, the facts take on a very different meaning. The key here is to ignore any time horizon beyond the immediate past, since any look at trends since the 1970s would, of course, show that homicides in the United States are in steep decline. Number Two: "Worst in the Developed World"
The claim is often made that homicide rates in the United States are the worst "in the developed" world. In this case, it becomes extremely important to carefully define the "developed" world so as to exclude other countries that have homicide rates similar to that of the United States. As noted here, the whole notion of the "developed" world creates an arbitrary line between numerous high-middle income countries and a small number of the wealthiest countries. For example, the developed-country narrative necessarily excludes several eastern European (i.e., Latvia and Russia, to name two) countries that have homicide rates comparable to — or higher than — the United States. The narrative also excludes numerous Latin American countries that are propserous in a global context, are at peace, and have functioning legal systems. Examples include Chile, Argentina, Uruguay, Costa Rica, and Mexico. None of these countries are in a state of civil war, and all are considered stable democracies. So, why are crime rates in all these countries steadfastly ignored? Because they don't help the pro-gun control narrative. Indeed, the whole narrative is based on a bigoted idea of middle-income countries — which implies that any country outside the European-American bubble should just be assumed to be a mess and can't even be compared to the "civilized" parts of the world. Also of note is the fact that in most cases, countries with higher homicide rates than the United States have more restrictive gun laws. This is the case throughout much of Eastern Europe and also in Latin America. This becomes starkly apparent when we look at the difference between the US and Mexico. On the US side of the US-Mexico border, where gun ownership is far more common, homicide rates are but a tiny fraction of what they are on the Mexico side of the border, where gun laws are far more restrictive. Figures for crimes labelled as homicide in various countries are simply not comparable. Since 1967, homicide figures for England and Wales have been adjusted to exclude any cases which do not result in conviction, or where the person is not prosecuted on grounds of self defence or otherwise. This reduces the apparent number of homicides by between 13 per cent and 15 per cent. A third trick is erasing the line between homicide and suicide. Yes, I understand that, in a broad sense, suicide is a type of homicide. But, in popular usage — and in official crime statistics — homicide usually means murder, and almost never means suicide. Moreover, everyone knows there's a difference between homicidal violence — in which one person is murdered by another person — and a depressed person taking his own life. However, by ignoring this distinction, gun-control advocates have created the category of "gun violence" which sounds like what normal people call crime. But, in reality, it's crime mixed with suicide. Thus, those who use this tactic can push up "gun violence" numbers by including suicides, thus vastly increasing the total number of deaths that result from gun usage. 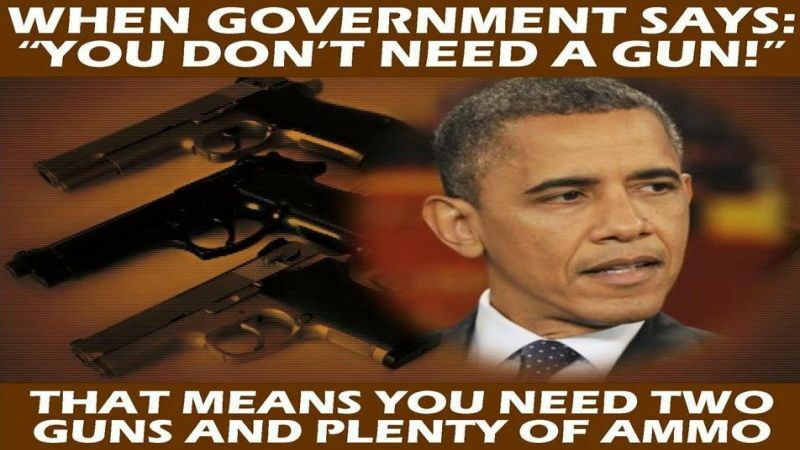 Moreover, those who use this trick often will claim there is a clear relationship between gun ownership rates. They note that in many states, such as Montana and Colorado, for example, suicide rates are relatively high and gun laws are relatively lax. Of course, one can draw even stronger correlations between suicide and altitude or suicide and population density. Moreover, the whole "more guns means more suicide" line comes completely divorced from reality when applied internationally. Many countries with extremely restrictive gun laws (such as France and Japan) have suicide rates either equal to, or much higher than, that of the United States. Here's another trick that involves subtly manipulating language to hide crucial information. When making comparisons among US states and various countries, gun control advocates often replace the term "homicide" with "gun homicide." This is done because the United States has a larger share of homicides committed by firearms than other countries. However, it can be shown that some countries with more gun ownership have lower homicide rates than countries with higher gun ownership rates. For example, in Switzerland — where gun ownership is common — 48 percent of homicides are committed with firearms. In neighboring Germany and Austria, the use of firearms in homicides is much lower (24 percent and 10 percent, respectively.) However, the homicide rate is slightly lower in Switzerland (0.6 per 100,000) than in Germany and Austria (0.9 and 0.8 per 100,000, respectively). Apparently, more firearms homicides (proportionally speaking) to do not translate to higher homicides overall. Moreover, general homicide statistics are more available for more of the world, have a much better and longer history of data, and better describe the true role of lethal violence in a society. As Eugene Volokh points out here in some detail, it matters little to a homicide victim whether he was killed with a gun or a knife; gun control laws can simply cause murderers to switch to other means without actually lowing homicide rates; firearms can also be used to prevent homicides. A fifth final trick is to make inappropriate comparisons to the United States as a single homogeneous jurisdiction. The United States is much larger than any European country, and contains far greater variations in terms of geography, climate, culture, and ethnicity than any European country outside Russia. However, this does not stop many pundits from comparing the United States — with 320 million people — to, say, Belgium, which has only 11 million people and just a handful of metropolitan areas. Nevertheless, gun control advocates like to list the homicide rate for the United States — in the dishonest manner described above — and say "why are US homicide rates higher?" Ignored, of course, is the fact that homicide rates can differ immensely from state to state. Indeed, as of 2015, the homicide rate (at the state level) ranged from 1.1 per 100,000 in New Hampshire to 10.3 per 100,000 in Louisiana. Obviously, given the fact that gun laws can vary substantially form state to state, it is impossible to draw any meaningful conclusions about homicides and their causes from a nationwide homicide rate. This is also relevant to making international comparisons. When we look at state level data, for example, we find that states with demographics and climates similar to that of Canada also have homicide rates similar to Canada — in spite of large differences in gun laws. Moreover, when we begin to look even closer at city-level data, we find that homicide rates vary wildly even within states, both in terms of overall rates and in terms of growth trends. The growth in homicides that occurred form 2014 to 2015, for example, was driven by just a handful of cities. Despite all the evidence to the contrary, the Regressive Left continues to lie and say that they are not trying to repeal the Second Amendment. Using the argument that they’re going for “common sense gun control” instead of a full-fledged destruction of the right to bear arms, the leftists have tried to trick us into giving in to their desires. Of course, most of us are far too intelligent to believe their lies. 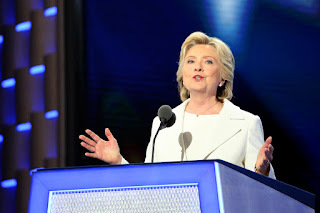 With the upcoming presidential election on the horizon, Hillary Clinton has found herslef at the forefront of this, and things are not looking good for the Democratic nominee. Now, much of that has to do with the fact that everything that comes out of her mouth feels completely inauthentic and disgusting, but it also has to do with the fact that she has a history of corruption. Overall, she’s doing a terrible job of making this work. Furthermore, new evidence from the Wikileaks email hacks shows that the Clinton campaign is trying to take a firm stance on gun control — much firmer than Hillary had previously claimed, which poses all sorts of problems for her. The emails reveal that members of her campaign were attempting to exploit the deaths of people all across the United States in order to push a gun control agenda. With her eyes watering with fake tears, Hillary planned to name-drop these people in front of the American public so that they would give in and hand over their guns. That didn’t work. And it will never work. The bottom line is that we shouldn’t trust anything that comes out of her mouth. She is a corrupt, establishment politician that doesn’t care about the wellbeing of the American people. She simply wants to use us to her benefit and then forget that we ever existed. That is not the kind of person we need running our country. Now more than ever, we need a strong leader. We do not need Hillary Clinton.